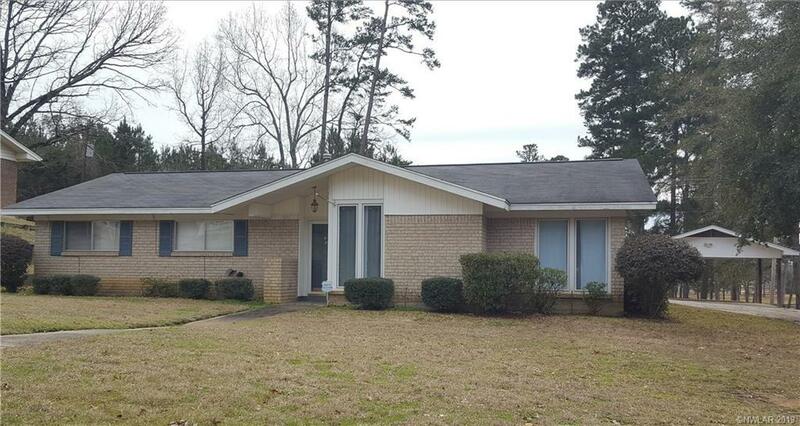 1312 E Todd Street, Minden, LA.| MLS# 238695 | Tahira Abdul Rahman | Tahira & Associates Realty, Inc | 318-840-4916 | Shreveport, Bossier City, Northwest Louisiana Homes and Commercial Properties for sale. Situated at the top of the hill with golf course out your back door. There is an additional free standing carport and outside storage building. There is a large concrete patio outside the den doors. Den has built-in cabinets. Flooring in kitchen/den area is large block ceramic tile in neutral color.